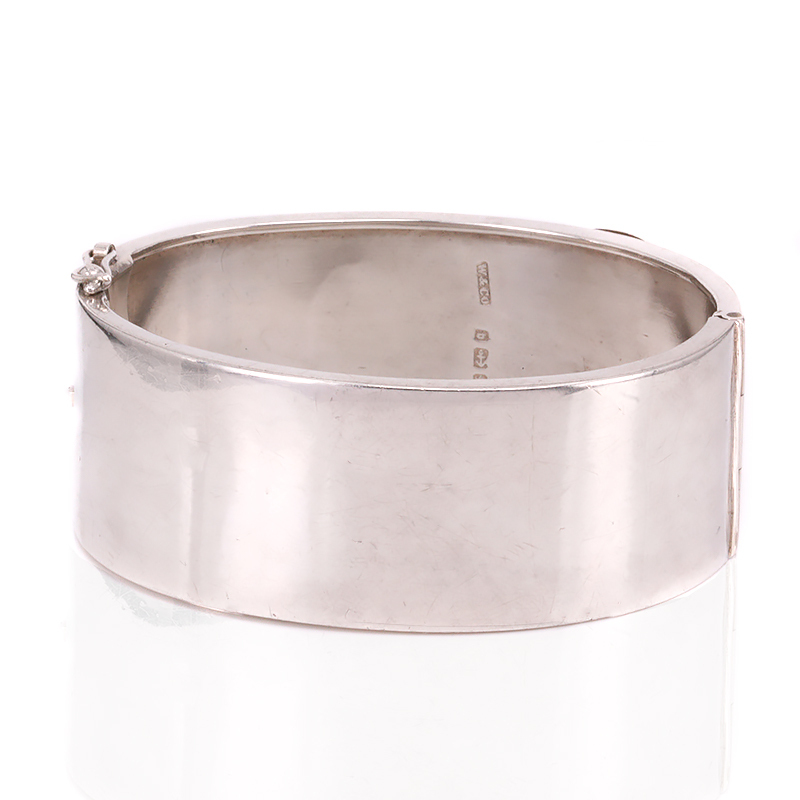 Product code: ES8167 Categories: Antique, Antique Bangle, Silver & Silver Plate. The buckle motif was very popular during the Victorian era, and here is a very beautiful antique sterling silver hand engraved buckle bangle made in 1876 that sits so well on the wrist and will always make a real statement every time that it is worn. Measuring 24.6mm wide the buckle design is highlighted by the stunning hand graving that would have taken hours up hours to complete. There is such a difference in quality when comparing hand engraving to machine engraving, and not only is this engraving far superior, it feels amazing to the touch. Fully hallmarked for being made in 1876, it is amazing how beautiful this bangle looks even after more than 140 years have passed. Hand engraved antique bangle made in sterling silver. Designed with a buckle motif which was popular during the Victorian period, this antique buckle bangle highlights the quality of craftsmanship that was achieved well over 100 years ago.